I read a lot of writing tips online, but no one beats Moody. Her posts are precise and easy to understand. She is a sheer writing genius! If you are a writer, you need to be following the very generous Moody. Lydia is sharp in so many ways. In addition to being a soon-to-be-published author, she is a doctor. Yes, a real MD! Her “Medical Mondays” cover all sorts of topics, giving writers ammunition for killing or harming their characters. Don’t let that scare you though – Lydia is just a sweetheart. Maurice (and his brother) run a sharp science fiction site. They are on top of the latest stories, giving readers things they might not find elsewhere. The focus is movies, but you will find all sorts of geeky fun on their site. Maurice recently opened up The Geek Twins to guest posts and I was honored to receive the first invite. Sadly, due to my crazy schedule, that won’t happen until June. Until then, for all your science fiction and geek news and updates, check out The Geek Twins. Preston and Child’s beloved character of Agent Pendergast of the FBI is most certainly based on the Arthur Conan Doyle's character, Sherlock Holmes. Both have an amazing wealth of knowledge at their disposal and an eidetic memory. And once the game is afoot, they always solve the case. And don’t forget the First Loves Blogfest on May 14 – First loves of movies, music, books, and person. Following Moody, Lydia, and Maurice? Fan of Preston and Child or Sherlock Holmes? Know why on earth Facebook would spend a billion dollars on a tiny site with a free app that converts nice, clean photos into faded Polaroids? Who would you classify as knowledgeable? I was up writing and thought I'd check. Of course I love Lydia!!! She's bodaciously cool! And Moody is awesome too. I will go visit Maurice. I thought I was the first to comment, but Robyn beat me to it. Well, there is always a next time. I agree with you about Lydia and Moody, both are my favourites. I will check out the third blogger you mentioned. Thanks for posting about these blogs. I will have to check them out. It's always nice to read from those who have a certain expertise in a given field. Congrats to Charity! That's awesome. I do follow Moody & Lydia. Will check out Maurice. And YAY for Charity!! Hmm, I'd say you're pretty darn knowledgable, Alex!! I don't follow those blogs, I will have to check them out. You keep sending me to awesome blogs and my list is getting so long. They spent a billion dollars because they can, obviously. Wouldn't you? Yeah I know, me too...right. Let's just say FB can't be smart all the time. I love the Geek Twins. They have the very best nerd (or geek) posts. Right up my alley. FB is doing what now? Yay for Charity! That girl rocks it! I'm a big fan of Sherlock Holmes! Funny thing, I always thought Dr. Watson was a dog. You know, like one of those smart dogs like on Rocky and Bulwinkle. (Mr. Peabody) When I heard they cast Jude Law, I was like, is he doing the voice or something? Hey, thanks for the shout out. Fame at last! Yay for Mooderino! I'd say you are knowlegable Alex - you definitely seem to have your finger on the pulse. And my dad - he's full of random knowledge! The answer to the Facebook question: Because they can. The recent BBC Sherlock series has really sparked my interest - a modern updating, but so fantastically done. Have you seen it? 'Knowledge' is a great K-word. Good way to tie in your favourite blogs. My posts are less about writing or words and more about objects and images. My themes are colour, gemstones, jewellery and a variety of subjects that interest me, such as cats. I'll be back to writing for RFWers in May. Some good links there Alex. Always a pleasure to visit your blog. Alex somehow has his finger on the pulse of the whole bloggersphere. I don't know how he does it. Then there is all the non-blogging info in his head. Definitely knowledgeable. Thanks for the shout out Alex! I'm still doing the happy dance. I'm familiar with Mooderino and Lydia, but I'll have to check out Maurice. I've been meaning to put Instagram on my iPad. I haven't used it yet. Great post today! Have a super day, everyone. You are first, Robyn! And thank you. Rachna, you tried. Please go visit Maurice. Morgan, that made me smile. Kela, because they can is probably the only real reason. And thanks. Cassie, you are a silly girl - but amusing and cute, so it's cool. Annalisa, yes I have - it's really good. Thanks Charity and you are welcome. Very excited for you! Lovely people you've mentioned today Alex. Lydia Kang is amazing! I love how you can check with her re anything medical you might need for your story. LOL, we'll all be Instagramming soon. I'm a huge fan of Lydia Kang. Lydia's great and her drawings crack me up. I recently met Moody, who is also lovely. Congrats to Charity as well! My internet was off and on the last few days... I am so far behind I will need time machine to find what letter day it is... what it's "K" and knowing is have the battle... throw in the GI Joe theme here and we are good! Already follow Lydia's awesome blog, but will check out the others. And congratulations Charity! yikes. I did hear about the facebook purchase but yeah, it's scary. I'm a big fan of Lydia and I'm pretty sure I'm already following Mooderino but I'm not sure about the Geek Twins! Off to find out! Facebook either know something or have too much money! LOVE Moody's blog! I don't comment often, but I am an avid reader! Lydia's medical Mondays do scare me but I totally agree, she's lovely and super adorable! Sherlock Holmes is totally sublime - what a fab creation! Guess it has to do with future planning for FB to take over the world! LOL! Who would I classify as knowledgeable? Charlie! He KNOWS when it's dinner time. Or breakfast time. Or lunch. Or snacktime! He also KNOWS which neighbour gives him the best deal on these! Makes me think of the days when small tech startups were all after the same thing: to get bought out by Microsoft. Moody is a master at teaching the craft. I'm always afraid to visit because after reading a post I'm afraid I'll realize I've been doing everything wrong. Lurker, I think the latter. Anna, that is my guess. Rusty, I feel the same way. FB bought Insta for $ One Billion Dollars - must be that Dr Evil is behind it. I follow a couple of them! Good highlights. It amazes me how much money these big tech companies have to throw around! More news to me.I like Sherlock and you can be Facebook has something evil up its sleeve. Moody has the sharpest insights, I agree. I will check out the others. I like Kang's blog. A reliable source of information is always good! Great choices for K! I really do have to read a Preston/Child book one of these days - I'm sure I'd like them! Lydia's a great choice for knowledgeable. I think I found her blog through the Pay It Forward blogfest. Thanks for sharing. FaceBook has done a lot of strange things lately. Jemi, I bet you would. Start with The Relic. Natalie, glad we had that blogfest then. Definately going to check out the blogs you listed. I heard about FB buying that, but am not sure why. I have days I want to delete mine, but I have family out of the area and this is a way we keep in touch. These look like some stellar blogs at which to gain some knowledge. Thanks for the tips! I love Lydia's blog. will check out the others. Thanks so much for the shout out Alex! Its an honor to be listed among your blogger buddies. Your movie reviews are so concise! I wish I could do that. I love Lydia's cartoons. They're always hilarious. Moody sound great too. Can't wait for your guest post Man. It sounds like Facebook wants it for the mobile photo app. Zucker said, "For years, we’ve focused on building the best experience for sharing photos with your friends and family. Now, we’ll be able to work even more closely with the Instagram team to also offer the best experiences for sharing beautiful mobile photos with people based on your interests." @S.L. Thanks dude. Your blog is dynamite too. @Robyn Congrats. I love Homes too! Wait, I thought Moody was a guy? Regardless, these are fine examples of knowledgeable bloggers. 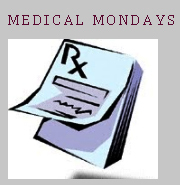 Medical Mondays on Lydia's blog rock! Instagram must have some secret weapon against peoples' privacy, I bet that's what Facebook is after. Love those bloggers! Also, I'm looking forward to the blogfest. Lydia is great! I love Sherlock Holmes! I think most of you are more knowledgeable about writing than me, but that's why I'm here! I am going to have to check out the ppl you've highlighted. Word of mouth is the best advertising there is. I do follow Moody but I didn't know about the other two and I'm so sad that I didn't know! Love, love, love Preston/Child. Hated when they made Relic a movie. It's like taking pure genius and giving it to a bunch of sugar infused five year old's to make a feature film. I recently found Moody's site. She knows a lot about writing. It's always a highlight when Lydia posts and has one of her sketches to go with it. Her medical posts are always so out there, but interesting. I love how when she comments on my posts, it always feels sincere. Gossip Girl, makes me glad I'm not on Facebook. Maurice, you're welcome! And my reviews are concise because I'm a man of few words. Funny thing is there are other apps for sharing photos that are just as good. Guess time will tell what Facebook intends to do with it. LG, crap, I hope not!! Rick, now that makes sense. Heather, they ruined The Relic! And completely left out Pendergast. That's because Lydia is a very genuine person, Kimberlee. I follow Moody and the Twins and love both! OMG Alex, thank you so much for the shout-out! Your A-Z is such an amazing giving back to the blogosphere. You rock, Sir Ninja Alex! Going on to check out Moody, Lydia and Maurice. Facebook must have something up their sleeves to make such a huge purchase. I have a feeling we'll see more from them pretty soon, perhaps something along the line of Pinterest? Just a guess. I've become a follower of Moody through the challenge. I'll have to check out the others. I like reading Lydia's posts, but I often feel like a slacker when I do. I follow Lydia and loved Sherlock Holmes. Off to check out some of the others now. Totally agree! I always learn something new at Lydia's blog. And congratulations to Charity on finding a publisher, yay!!! I do know Moody, but not the others, so thanks for the heads up. Don't know the rest, but Moody is great! You reminded me to pop in. Haven't been there in a while! I always look forward to Lydia's Medical Monday posts! They are always interesting. Wow, up to 'K' already? My knowledge picks: Helen Ginger at Straight from Hel and the whole crew at Blood Red Pencil ... stuff every writer can use. I'm finding so much knowledge from the blogs in this year's Challenge that I've been amazed. Best year yet for content. Great shout outs! Sherlock Holmes is great, and now I'll have to check out Pendergast . . .and I have no idea why facebook does what they do . . .but I still use the silly site. ah.... First loves.... My first love was oxygen. When oxygen went away, I felt like I couldn't breathe. Ah, oxygen. My wife can never find out. Oh sorry, need to wait for May 14th. Al, Moody is a man. Looking forward to the First Loves blogfest. Think it's gonna be interesting to see everyone's responses. Thanks for the tips! I will definitely be checking these sites out! and holmes is the quintessential brainiac! Great sites, all! And that's a very nice chunk of change that facebook's laying out for those blast from the past polaroids! Lydia, you are welcome, and thank you! Roland, the books are written plain and simple for me. Now LOTR - that's filler prose! Budd thanks for the laugh! I love Sherlock Holmes. Well, at least I love his latest incarnations in the form of Robert Downey Jr. and Benedict Cumberbatch. I already visit Lydia, but I'll check out the other two. You can never learn too much! Will check out the blog recommendations, Alex. Am already following Moody Writing. Glad the A-Z list is being culled, I'm still seeing adverts and no A-Z posts on some blogs on the list. Sigh. . .
Ha! need to go seek out Maurice. And I want to see the Sherlock Holmes movies so bad. I wish Netflix would just get them already. You really have posted some energetic posts, Alex! Will check out the mentioned blogs. MJ, those are both good. DG, we are still working on it, especially the end of the list. Sarah, I had to look it up! Nel, glad you're having a good time! Confession: I had to look up the meaning of eidetic. I had a suspicion what it might mean, but I didn't know for sure. Thanks for a new word! And congrats to Charity Bradford! I have met Lydia Kang, but it's been a while since I've "seen" her. Will head over there now, thanks to you. And thanks to you I will head over to meet the others! What the heck? I didn't know that about FB. Interesting. I like your Ninja News section! Okay...love Lydia and off to see Moody now. Hope your having a ninja kicking day! I follow Moody. Her posts are invaluable to me. I read Dr. Kang's blog. It's awesome! But she sometimes grosses me out, like with the medical use maggots. Yuck. Yes, I already follow those knowledgeable people. *grins* And I need to read the Pendergast books. I have them, but I haven't had a chance to read them, but I do love Sherlock Holmes. One billion on what? I've never heard of Instagram. Another reason you're smart to avoid facebook. Thanks for more great blogs to check out. $1,000,000,000.00??? That was news to me. Thanks, Alex. Now I feel knowledgeable (and slightly jealous of the InstaCEO). Some great people to check out today - they all sound really interesting. Thanks Alex. New follower! I've heard about your blog all over the sphere the last few weeks - thought I better hop on the ninja bandwagon! Hoorah! I really enjoy Pubrants - Agent Kristin Nelson always has great info about the business side of the industry! Attain knowledge through intelligence is ideal. For that Sherlock Holmes is a perfect character. I LOVE Sherlock Holmes, stories and movie and series (like the second movie better, though), have no clue what instagram does that's worth so much (unless they aquire copyright for all those photos?) and I'd class YOU as knowledgeable because you know so much about what's going on in the writerly world of blogging. HUGE Pendergast fan! Have you read Monster of Florence? It's Preston's true story of his investigation into an Italian serial killer that basically got him deported from Italy. Very good! I'll 112th (? sheesh!) the Moody recommendation. Just brilliant. Tracy Jo, Ninja News just might have to continue after the Challenge. Cherie, you will really like them. Thanks, Lisa. Wow, didn't know that was a bridge in the photo. Robyn, that's what I said! Welcome, Daisy - and thanks! I know Maurice and Lydia. Reliquary remains one of my favorite reads. It's the sequel to Relic? Great books. Lydia and Moody run great writing sites--love dropping by their blogs! And I've been following The Geek Twins for a while. I have no idea why Facebook would pay that much. For the heck of it? EJ, good for you! And no, I've not read that book. Andrew, you amuse me. Keep coming back. When I saw "Geek Twins" I thought of my boys! They aren't ready to blog, yet. I like Holmes, old school, and I enjoyed the first movie, haven't seen the second. Finally I made it to your blog. Now it is half past midnight inGermany and I'm teribbly tired. I read the first two original Sherlock Holmes stories by Arthur Conan Doyle recently. I must say I have been surprised how up to date the sound (except some words which do not use nowadays). I'm a a big fan of FBI Special Agent Pendergast. I think Preston and Child have been dropping hints to his past and fans will be in for a very big surprise in an upcoming book. "K" for "Klahanie" here and of course, "klahanie" is a word from the Chinook tribe that reside on the Pacific Northwest of North America. The word, "klahanie", basically means, 'the great outdoors'. Lydia is one pearl of a writer and I shall, time permitting, duly check out all your links. Thanks for such a knowledgeable posting on the letter "K". I would classify you as a darned knowledgeable gentleman. Shhhh, it's a secret. I'm in love with Sherlock. Edi, I read some of them recently as well and found them very enjoyable! Stephen, I knew you were a fan. Thanks, Gary. And didn't know until now the origins of your blog title. Kittie, I won't tell anyone. Facebook must have cash to burn. I'm in with GeekTwins, we've guest posted on each others blogs! Lydia and Moody here I come! It pleases me when I know all the links that you pick. It tells me that I'm doing a decent job making my way around the blogosphere. Spacerguy, and I remember those exchanged guest posts! Michael, you are learning little grasshopper! I love Lydia's blog, but then again, who doesn't? That's a weird move for Facebook. Going to check out that blog fest. Lydia IS quite knowledgeable! And I was wondering about Instagram, too. It doesn't seem like it's worth that much. But hey, what do I know? I read everything Preston and Child write whether they're together on a book or when they go solo. I'm not hooked on their new Gideon character. Thanks for stopping by my blog ;) I enjoy yours and this post is awesome. I had no idea who moody was, but I do now since I'm following her. Thanks. I know a Mooderino, but not Lydia or Maurice...off to visit! MsHatch, I don't think it's worth that much! Roza, thank you for following her. I'm already following Mooderino, but now I've added Lydia. I love new ways to kill off my characters! I love Lydia and Moody! Great picks. I love your theme this year Alex.